This year's Summer collection is probably one of the sportiest they have ever done and the outfit I'm wearing was definitely created for athletes. Let me talk about the Isla training shirt first, I don't remember Kingsland ever doing something like it in the past. 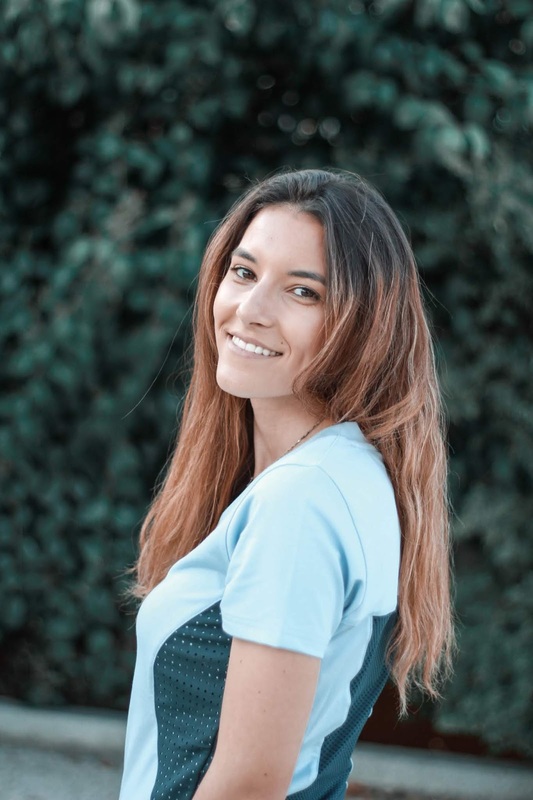 Isla is probably one of the sportiest t-shirts an equestrian brand has ever designed. I absolutely love its cut and the contrasting side panels - so, so flattering! The light blue fabric is really soft (I don't know its name) and although it is sort of "elastic", this is a structured shirt that won't stick to the body. As you would expect, it has a quick dry function. On the back of the shirt, there is a mesh panel so there is a lot of air coming in. I took these photos on a ridiculously hot Spring day (30ºC+) and after not moving for a few minutes I started feeling cold. 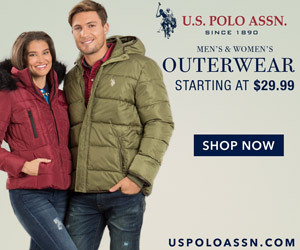 I am so sure that this is the only thing I will want to wear for Summer rides that I am even considering buying myself the navy version! 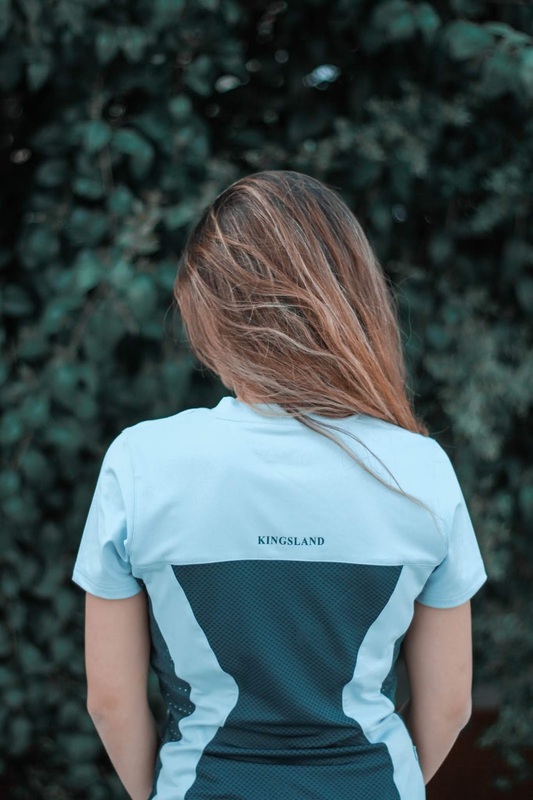 As for the side panels, Kingsland used a technique called burnout - I didn't even know this had a name, I'm always learning new things - and the little dots with the light blue underneath tied everything together. Let's be honest though, the one thing that is stealing the show it the back pocket!!! Can you see how big it is? But at the same time it is so discrete that only the most attentive people will notice it. KINGSLAND, YOU GENIUS! Moving on to the breeches, these are the real meaning of "the best of both worlds". Forget riding leggings (unless I'm only going to the barn to lunge Gali or to spend some time with him), pull on breeches are the real deal!!! These are the Katja E-Tech Pull On Breeches. I must confess that I thought pull on breeches and riding leggings were the same - they're not! 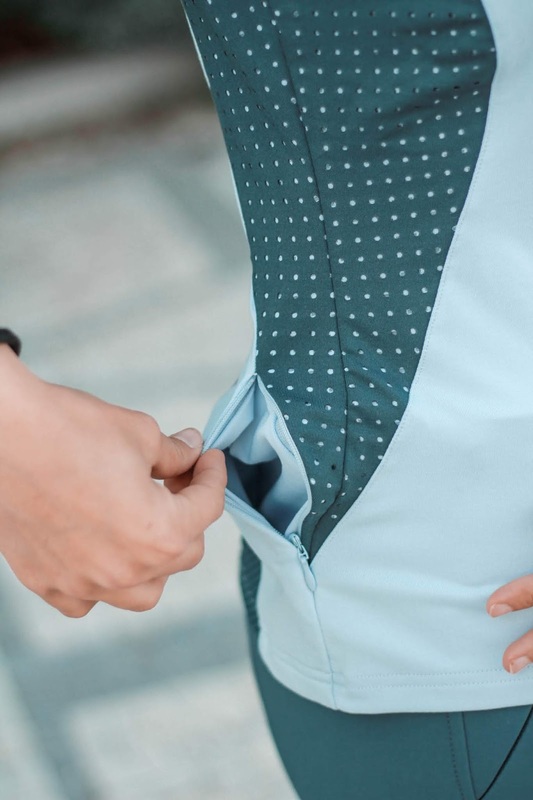 Their fabric is the same we find on traditional Kingsland breeches and pretty much all the details make them look exactly like breeches but there are no buttons and no zippers, just a large elastic waistband! I prefer them over leggings purely because of the fabric. Typical breech fabric is the only thing that will make me feel perfect, not that I don't like riding in leggings but breeches will always be my first choice. 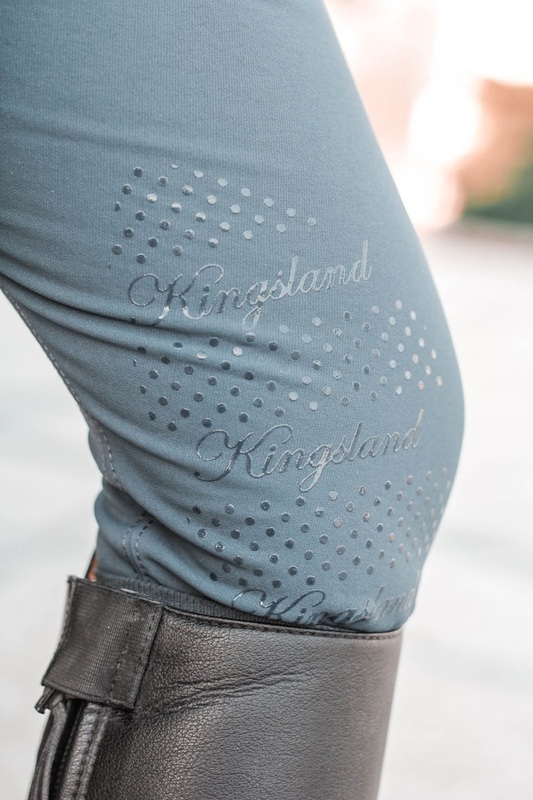 These feature the new knee patch design, the previous one had KL written instead of Kingsland, in my opinion this one is more feminine. 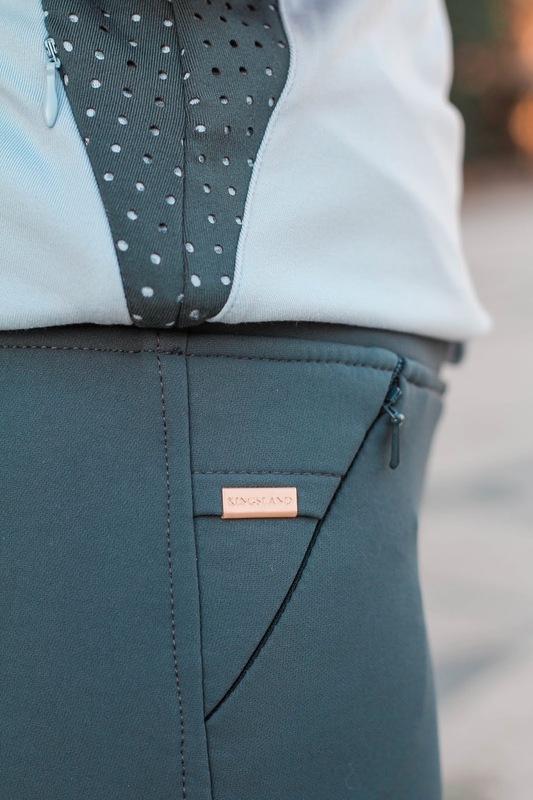 I absolutely love the pockets with small zippers and the golden detailing, as well as the embroideries give the Katja breeches the elegant Kingsland look I adore. Ps. 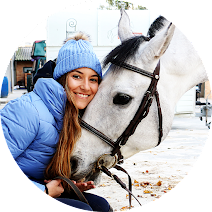 : If you're a fan of Kingsland Equestrian, you might want to follow me on Instagram (here), there will be a surprise this week!